Huge ships have long been an indicator of hard power. The imagery is familiar to any student of war: The Roman longship or the Portuguese caravel sails into enemy lands, its weapons glistening, striking fear into the native peoples. The sentiment of terror is understandable, given the enormity of the enemy and the impressiveness of their arms. The United States has subscribed to this ideology since the invention of modern warfare. Franklin Delano Roosevelt moved his Pacific fleet from San Diego to Pearl Harbor in 1940 to discourage Japanese aggression, and the United States has stationed aircraft carriers in the Arabian Gulf since the outset of war. This strategy appears to be changing. In a recently released report from Foreign Policy, former Secretary of Defense James Mattis reportedly sparred with, and ultimately, denied the U.S. Navy’s request for two new Gerald Ford-class aircraft carriers. The deal, which would have come at a cost of $24 billion USD, is part of a larger debate about the relevance of aircraft carriers in the future of American defense. At the same time, a number of nuclear-powered aircraft carriers, similar to the kind requested by the Navy, needed mid-life refueling. These refueling operations, which can cost billions of dollars, have sparked the ire of politicians. They involve the replacement of the ships’ nuclear core, and take years to complete, decommissioning the ship in the process. Delaying the replacement isn’t feasible: the nuclear core is a time-sensitive component, and a holdup causes the core to ‘fizzle’, rendering the ship useless. Mattis, who was ultimately pushed out of his position by President Donald Trump, wanted to question the necessity of aircraft carriers in future conflict. According to Department of Defense officials, Mattis and his aides calculated that in future conflict, which has increasingly been fought on land in nontraditional theatres and scenarios, aircraft carriers were important. Cost, they say, was not a factor in their decision. This has caused rifts in a Navy which is already inundated with grievances about President Trump’s defense strategy. Although Trump himself has never addressed the issue of aircraft carrier cuts, the Navy has been jilted by the President’s continued isolationist foreign policy. From the Navy’s perspective, a failure to purchase new carriers jeopardizes America’s security in the future. Shanahan now takes on the task of balancing reform with necessity, and the needs of the Navy with his personal vision. Last week, he passed a verdict on the state of the aircraft carriers: the Navy would get their new Gerald Ford-class ships, but he would retire the U.S.S. Harry Truman. This has immediate implications for the Navy; the Truman will be depreciated by 2025, while the Navy will not get its new carriers until 2027 and 2030. The decision saves $4 billion USD in refueling costs, as well as around $1 billion USD in operational costs per year. However, the United States will briefly have only nine aircraft carriers, which is well below the Navy’s recommended number of fifteen. This breaks from the traditionally Democratic stance of supporting a smaller military. For Courtney, reducing the size of the aircraft carrier fleet hampers America’s hard power capabilities unnecessarily, and risks future American security. Although Democrats have not voiced widespread opinions Shanahan’s decision, they certainly will be concerned about whether a unified vote in favor of the plan broadcasts a message of making America unsafe. 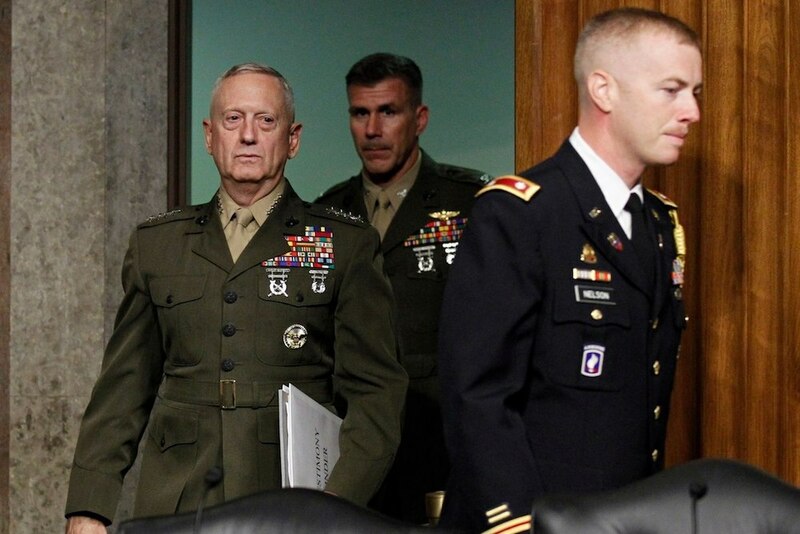 Likewise, the decision from the conservative Mattis and Shanahan are at odds with Republican policies of “Defense, no matter what.” President Donald Trump presents a foil to this plan, possibly sinking the deal through a single Tweet. Trump has voraciously cut into American spending, proposing to slash welfare policies, but has remained steadfast in support of defense and border security. But Mattis and Shanahan’s decision forces the United States to confront a larger question about the size of its armed forces. To some extent, although a large military projects power, it also creates resentment. Aircraft carriers have long been a symbol of U.S. strength, but in a bipolar world marked by unconventional warfare, the time of the aircraft carrier may be waning. Federal spending is consistently above revenues, and the military has long received poor marks for efficiency and monetary discretion. Compound these factors, and perhaps Mattis’ policy seems correct after all.